Butera Pipe tobacco is made using the finest leaf tobacco available today. If you are ready to smoke a pipe tobacco that ranges from medium to a heavy blend then Butera is a great choice. 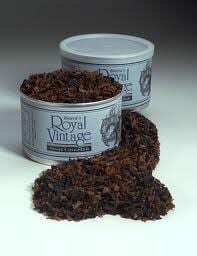 It’s a great choice for the more experienced pipe tobacco smoker who wants a full bodied taste. All of their products come in 50g tins, which help to keep this type of a heavy blend fresher for a longer period of time.